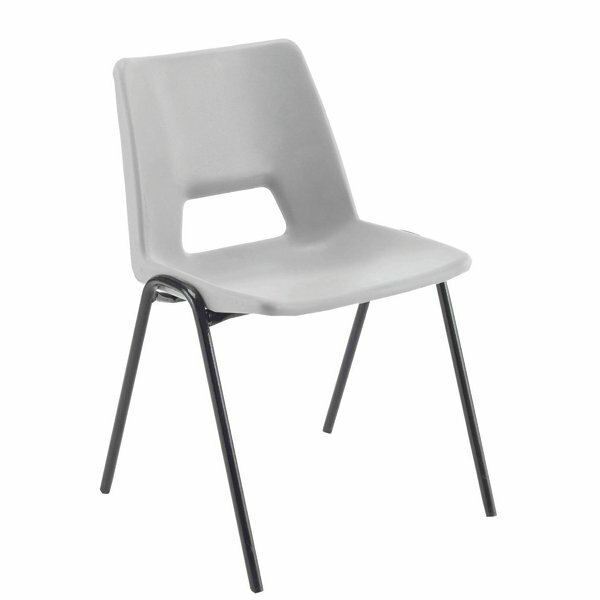 Perfect as a high volume seating solution, this Jemini polypropylene chair stacks up to 20 high for space saving storage. The moulded one piece polypropylene seat and back provides comfort and support, while the black epoxy coated 19mm diameter steel frame offers stability. Ideal for canteens, schools, meetings, events and more, these chairs are suitable for both internal and external use. This pack contains 1 grey chair.